We can train our mind just like we can train a muscle: by repetition of thoughts related to a certain issue, our mind creates new patterns of thinking and is able to make new self-beliefs and behavioral patterns. In other words, what you think is what you become - and affirmations are a base stone for the change in your thinking to occur. Each of our albums has three sets of positive affirmations, in three different tenses. If you want to know more about our tenses, please visit the FAQ section of the Trinity Affirmations website, but generally you can just choose to listen to the set you respond to the best. Each album lasts roughly 15 minutes. There is no one "best way" to listen the album, one that will work for everyone - it's a matter of personal choice and finding a method which will fit your lifestyle. However we do offer the main guidelines and ways to listen on our website. You can play the album while you sleep, because our subconscious is receptive while we sleep and our conscious blockages are then off, so the messages will get sinked in easily. Positive affirmations are perfectly safe for anyone to use. However please refrain from listening while driving or doing something that requires your full attention (like operating machinery). What can you expect?The common things that some people experience straight away and some after a few sessions, are the feelings of being energized, focused, clear in mind or highly motivated. There is a possibility that you may experience some resistance or negativity, which usually happens if the gap between your current and desired beliefs is bigger than you thought. If so, we recommend that you change the track and start with Future tense first or to choose another album (Confidence vs Self Esteem, f.ex). 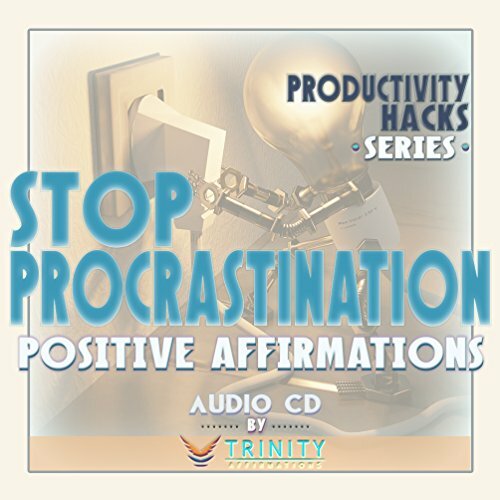 If you have any questions about this product by TrinityAffirmations, contact us by completing and submitting the form below. If you are looking for a specif part number, please include it with your message.